In 2017, Purdue University, one of the most prestigious universities in the United States, acquired Kaplan University from Kaplan, Inc. Today, Purdue University offers a wide selection of online degrees through the new entity Purdue University Global. This new online institution offers an online MBA program that is expected to feature many of the same features of the campus-based MBA program from Purdue University. Below is an in depth review of the online MBA program offered at Purdue University Global. From your first day of class to graduation and beyond, our Career Services team is here to help with career planning, job searching, networking, and more. The online MBA program offered at Purdue Global University is accredited by the Accreditation Council for Business Schools and Programs or ACBSP. This accreditation agency’s seal of approval shows that this new online MBA program has met high standards of business education by ACBSP. When you attend this university and see this accreditation, it suggests that the program is of high quality. This is especially important for a new online MBA program. The ExcelTrack program allows some business students to advance their studies based upon your existing knowledge. For students who have extensive experience in business, it is possible to complete your business degree online faster than the normal two or three years. The ExcelTrack program can be a good fit for the professional who has at least three years of business experience where you acquired relevant skills related to the MBA program. Also, you must provide evidence you have finished at least three classes from a university. For the MBA, you also must show proof that you have a bachelor’s degree from an accredited university. Get assessed. At the start of each course, your skills in that particular business discipline will be tested so it is clear what you already know. Now that you know what you need to learn in that particular business discipline, you can focus on it and not spend time relearning things you already know. Get support. Staff and professors will work with you to make sure you have learned all the material necessary in that business discipline. You also can take advantage of learning resources during your education journey including online tutoring, live webinars and live chat with professors. You will know exactly how well you are mastering new business skills with regular labs, quizzes, tests and feedback. Get to your goal. As soon as you get a B or higher in the course, you can move on to the next class. The courses you take in ExcelTrack are one credit each, and there is not a traditional limit on the number of courses you can complete each term. Instead, you can take as many courses per term as you can learn, for a price of $1500 per term. On the other hand, most online MBA programs will limit you to no more than two courses per term at a cost of $2000 or more per term. In some cases, you can complete your MBA with ExcelTrack in just 16 to 18 months. Purdue Global University does not require you to submit GRE or GMAT scores to be considered for admission. You must only show that you have a bachelor’s degree from an accredited university, as well as an official transcript from your bachelor’s degree work. Purdue University is a well respected university and features professors who are experienced business educators and business professionals from across the world. These are real world business professionals who have years of knowledge of the marketplace. When you enroll in an online MBA program, your tuition is capped. It is ensured you only will pay a fixed amount for your MBA program. Once you reach this cap, you do not have to make more payments for your educational experience, even if you must retake a course. This program can help some students to reduce the cost of their degree by 33%. Purdue Global offers flexible programs designed to support those who balance career, duty, family, and their studies. It is good the program has been accredited by the ACBSP, but it is not accredited at this time by the Association to Advance Collegiate Schools of Business or AACSB. This is the oldest and most well-known business education accreditation agency in the United States. It is the agency that most business employers know. The fact that this program has not been accredited by AACSB could cause some employers to question the value of degree. But it also must be noted that your online MBA will have the Purdue University name on it; this may ameliorate concerns that companies have about the degree. In 2017, Purdue University acquired the assets, students and properties of Kaplan University. The latter, for-profit university no longer exists. This could create some confusion and uncertainty for some employers about the quality of the degree. Kaplan University was for profit, and these programs sometimes are scrutinized more carefully for their quality or lack thereof. But Purdue Global University is a public institution, just as Purdue University is. Purdue University has a strong, well known brand in the business world, but the Purdue University Global MBA is entirely new. It has not yet been reviewed by the Princeton Review or US News and World Report. So, there is certain to be some skepticism about this online MBA degree. But this should fade over time as the new degree program develops a track record. Students who find there are questions about this online MBA can mention that Purdue University has had a quality MBA offered through its Krannert School of Management for decades. It is expected the online MBA will continue the same level of quality as the campus-based business degree. Overall selectivity for Purdue University is average, with a 56% acceptance rate. The online MBA program is new and there is no data. 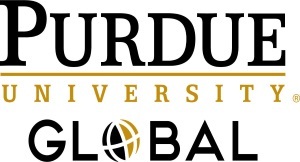 Purdue University Global understands that working adults approach learning differently than traditional college students. That’s why we’re proud to deliver a fully personalized, world-class education online that’s tailored to working adults. By opening the doors to students who need flexibility to fit learning into their busy lives, we make it possible to achieve a high-quality education from a prestigious university system—completely online. We are dedicated to helping our students in every way possible, and that includes making sure our tuition costs are as low as possible and our education is accessible to all. Financial Aid– Learn how we help qualified students apply for and receive Title IV federal financial aid for many of our degree programs. Purdue Global Commitment – Try our undergraduate classes for 3 weeks before you owe any tuition. Transfer Credits– Use credits you earned at another institution to save an average of $27K on a bachelor’s degree. Credit for Work Experience– Leverage your skills to save an average of $10K on tuition for undergraduate programs. We award college credit for eligible work, military, and academic experiences. Tuition Cap– Save up to 33% on select undergraduate programs.